1996 saw the centenary of the death of William Morris. 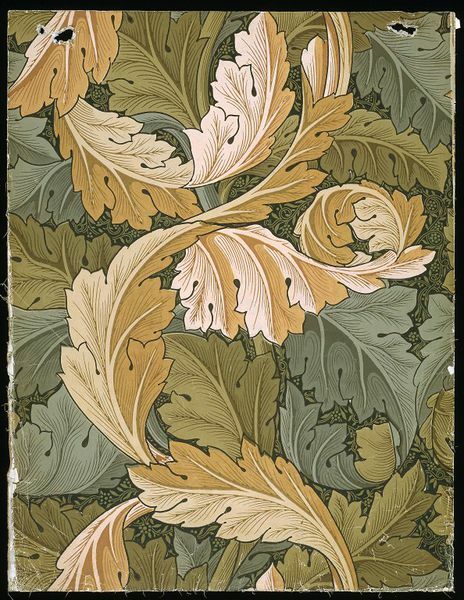 William Morris has increasingly become a household name and as the father-figure of the Arts and Crafts movement has had a great impact on 20th century design. He was the first to champion such art and craft principles as “truth to materials” and simplicity in art. This simplistic nature was also seen in his attitude towards life where he propagated an ideal of rustic living. His utopian socialism beliefs and his affinity for natural, hand-crafted details made him the spiritual leader of the Crafts Revival of the 20th century. 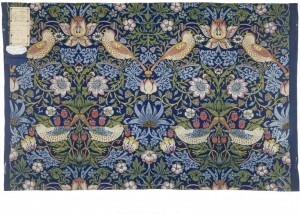 William Morris was born into a wealthy local pottery family on March 24, 1834, at Elm House, Walthamstow. He was the third of nine children (and the oldest son) of William and Emma Shelton Morris. In his childhood Morris showed a great passion for all things medieval and a great affinity with nature. In 1847, Morris’s father died, and the following year, aged fourteen, he entered Marlborough College. He left in 1851 to continue to study at home. In 1853 Morris entered Exeter College at Oxford, where he met Edward Burne-Jones, who was to become one of the greatest of the Pre-Raphaelite artists, and began to study architecture and write poetry. In 1856 Morris began work in an architects office where he met Philip Webb, who would become another close friend and associate. He took rooms with Burne-Jones, already embarked on his career as an artist, and before the end of the year Morris himself abandoned architecture for art. In 1859 Morris married Jane Burden. In 1861 along with others Morris founded “Morris, Marshall, Faulkner and Company” (later Morris & Co.). 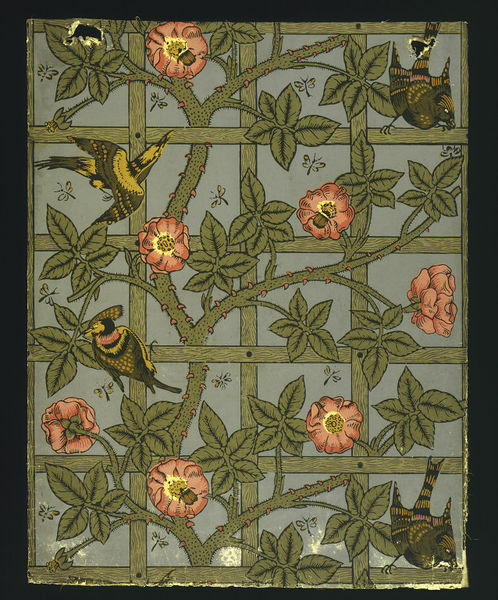 Morris excelled in the design of flat patterns, derived from organic forms, particularly fruits, flowers and birds. 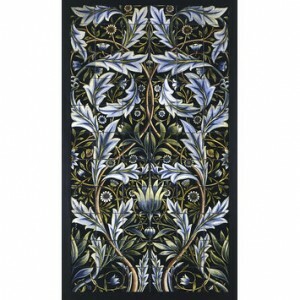 He was especially talented in designing carpets, fabrics, stained glass and wallpapers. 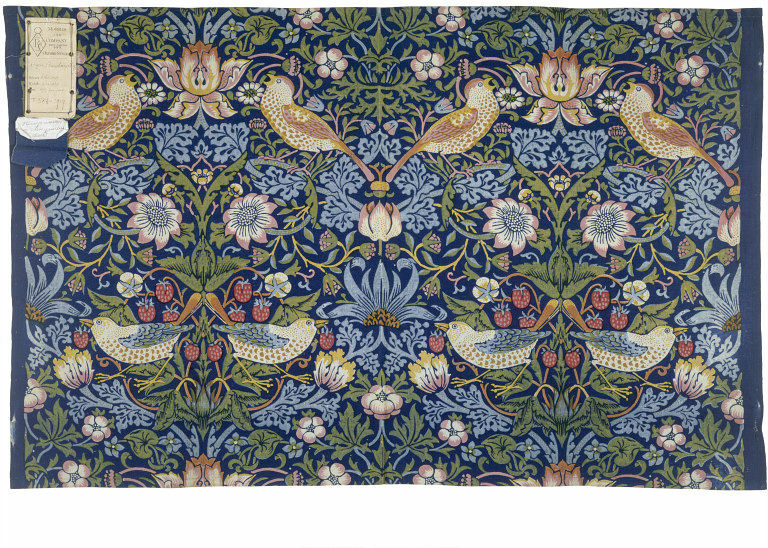 In 1878 the Morris family moved to Kelmscott House in Hammersmith, where Morris began to experiment with tapestries. 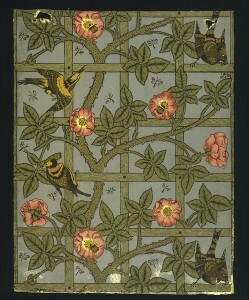 Morris is credited with over 600 designs. Morris was becoming more and more interested in politics and despite his wealthy background developed strong utopian, socialist views. He became a prominent speaker and theorist and wrote several poltical texts including Art and Socialism. He saw Socialism as a way of solving many of the problems present in Victorian society such as poverty and unemployment. Throughout his life Morris continued to write books and poetry and even turned down the position of poet laureate. Morris died on October 3 1896 at Kelmscott House, and lies buried in Kelmscott Village churchyard.